Where is this? i MUST go! Where do the baby bodies get buried? In the garden of the neverland ranch. Bury them separately from the heads to keep them from rising from the grave as a zombie baby horde. 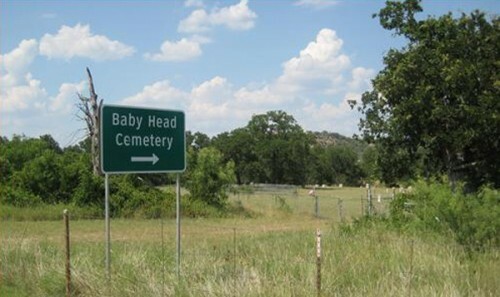 No no, it’s a cemetery where you get head from babies.